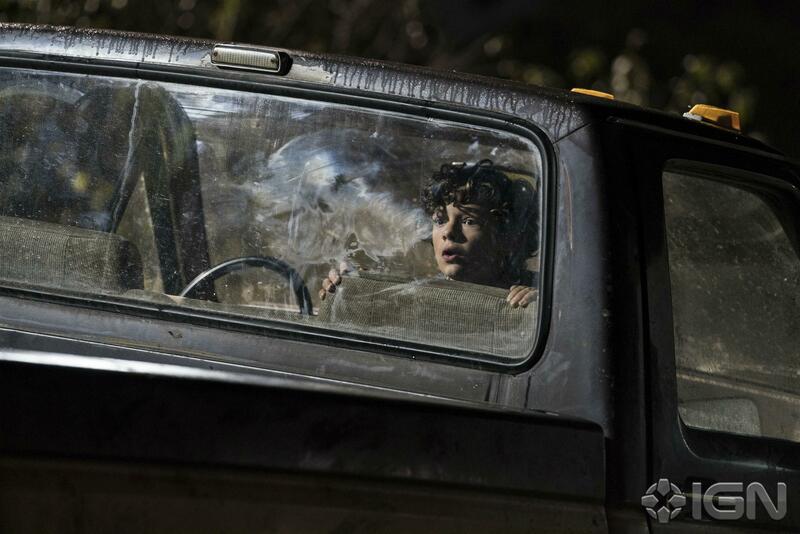 John Krasinski orchestrates a loud and ferocious symphony of sonic scares that will assert A Quiet Place as one of the year's most terrorizing films. 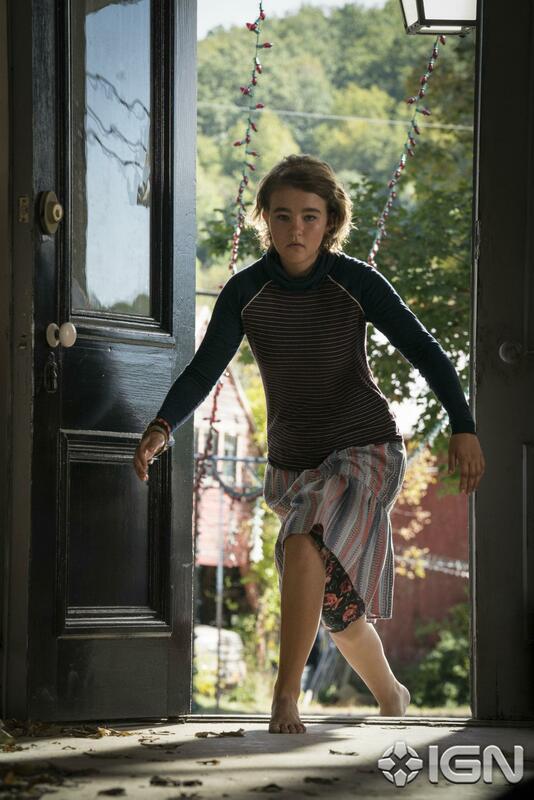 John Krasinski’s A Quiet Place bursts onto 2018’s horror scene as a skillfully-directed powder-keg that avoids succumbing to “gimmick only” redundancies. Lesser visions would have meant something more forgettable and indicative of a first-time genre filmmaker steadying his “sea legs,” but – as an act of mute-yet-mighty aggression – Krasinski succeeds in streamlining a nightmare-fueled genre onslaught that kicks the damn doors in something mean. There’s shades of Signs and The Lost World: Jurassic Park (seriously) here, fiercely filtered through a lens that generates edge-of-your-seat terror equal to plucked heartstring chords. This movie might keep volume levels low, but audiences are going to be screaming loud and proud all through the night. Krasinski stars as an outdoorsman protector who will do anything to keep his family safe from lurking forest creatures (some 400 days post-takeover). We don’t know what brought the beasties or why (aliens, maybe), but we *do* know they attack based on sound. You make a peep, you die. Krasinski’s family – “Wife” played by Emily Blunt, “Son” Noah Jupe, “Daughter” Millicent Simmonds – communicate through sign language (already understood because of Simmonds’ character’s impairment), walk down paths of laid sand, and use other life hacks to stay undetected. But, alas, there are hiccups to every plan, and we watch as Krasinski’s clan fends for their lives when the monsters crash down on their location. Writers Bryan Woods and Scott Beck gamble on initiating their screenplay in the throes of human eradication, but Krasinski’s ability to handle cryptic survival peril is unflinching – virtuoso at times. 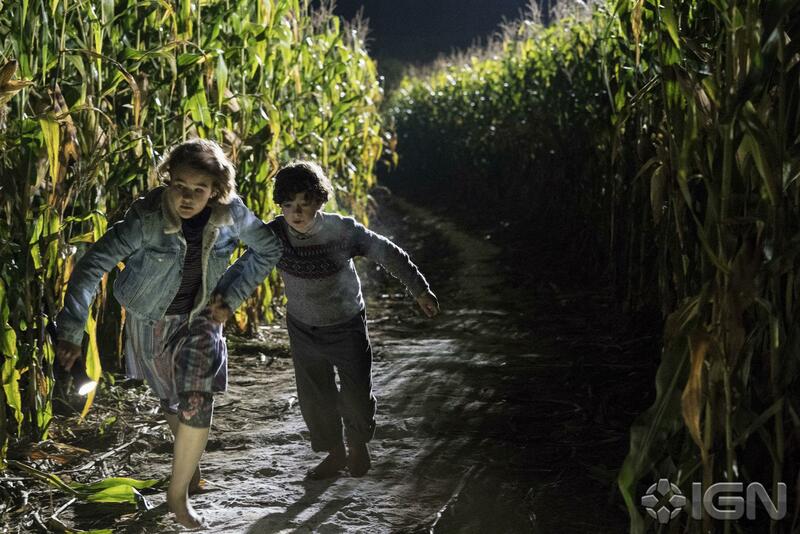 A Quiet Place is thrilling, features tremendous sound design and is genuinely frightening when payoffs are savored (often). Industrial Light & Magic painstakingly spliced insectoid features with Stranger Things’ Demogorgon, which is shown off time and time again in full camera view. Heavy CGI reveals pulsating muscles and inner echolocation receptors that sheen a slimy, fanged grin (in comparison to typical mainstream pixel boredom), the creatures bullishly berserk when sprinting towards a victim whose only hope is a quick mercy kill. So fast, so primal, so ever-loving horrific. It’s beneficial that Krasinski sees A Quiet Place as a family drama first, horror movie second – which is no knock. Emily Blunt turns in a nurturing, shotgun-mama performance as his *pregnant* lover, able to convey heavy emotions through nothing but facial expressions and signed compassion. Since she’s not allowed to vocalize development, over-emphasizing becomes an actor’s only tool – same for the whole cast. 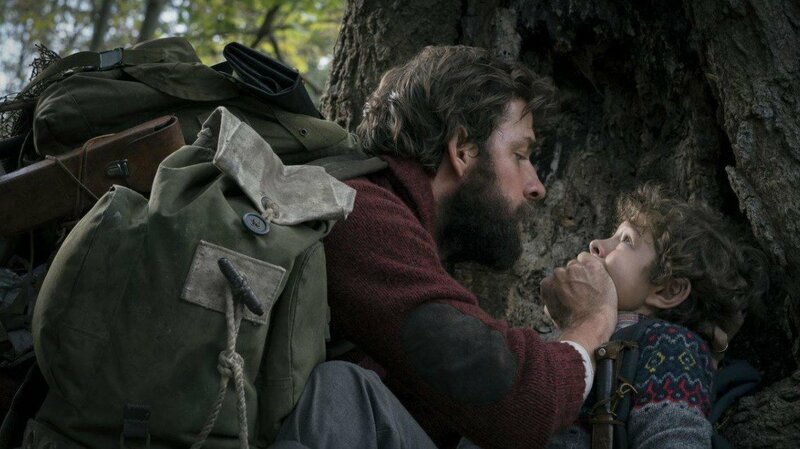 Simmonds so tremendously establishes tension as a deaf girl unaware of looming danger (we hear her nothingness) just as Krasinski struggles to comprehend a life where he *can’t* protect his children (Jupe a timid boy who needs papa to build him up). Scares fly at you, but don’t be surprised by heartfelt feelings shared between this constantly-clicking cast – love in a time of intestine-spilling monsters. True to form, noise cancellation makes for little dialogue or any kind of scenic accents except when something terrible is about to happen (or when Krasinski is muffled by a rushing river). If you hear something, it’s either a creature thrashing about or seconds before said creature thrashes about – noose-tight tension and crippling anxiety. Even the slightest misstep could mean death – hence felt Monopoly pieces, stripped walls, zero electronics, etc. – which you’d think to be formulaic, but is responsible for ten times more menace and consequence than expected. A flooded basement nail-biter, corn kernel silo drop-in, the freakin’ repeated sight of one protruding staircase nail – all works of breathless exasperation. Many arms will be clenched as a result of this movie, which is a true testament to Krasinski’s ability to deliver on elements that many mainstream horror films of today miss – enjoyable atmospheric annihilation. Not to ignore or nitpick, but those audiences looking for flaws will dwell on a few hang-ups if they (wrongfully) choose. Something as simple as pictures hanging on the wall – why? Krasinski’s sensibilities sound-proof his entire farmland from houses to barns to silos, except for decorative family portraits that could drop at any moment if a nail pops out? Or, assuming Blunt’s pregnancy was planned, why is birthing a 24/7 noise machine considered “smart” in this hushed age? With no backstory, there’s a chance Blunt’s baby bump was 100% intended (and inspired by a previous event) that would make no sense for a veteran survivalist to permit. Why print newspapers on loud machines with headlines like “IT’S SOUND!” during the initial attack, why this, why that…WHERE DO THEY STEALTH POOP?! There are questions, but again, Krasinski’s meticulous execution overshadows so many otherwise curious points. It’s too easy to have fun and become lost in the sounds of silence – wards off the bad juju. As a *frequent* watcher of horror, something like A Quiet Place makes my hair stand with chilly excitement. Praise any studio that greenlights a mainstream parental heartwarmer that plays against other-worldly creatures who viciously maul their prey, uses almost no dialogue and manipulates bursts of sound like sonic atom bombs. John Krasinski may not be a full-fledged genre advocate, but he can sure direct the hell out of crowd-pleasing, seat-clenching, holy-crap-that-ending popcorn punishment. This film is an assertively boisterous opening for this year’s South by Southwest festival, no doubt – one that’s going to terrorize public audiences in all the best scream-until-you’re-blue ways.